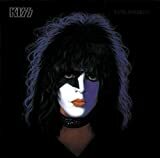 Paul Stanley's, "Live To Win"
Live to win, 'till you die, 'till the light dies in your eyes. Live to win, take it all, just keep fighting till you fall. The song describes personal struggle, in a cheesy way.